While most persons consider a ‘job’ to be an income-earning activity, the young track and field star considers her dedication to the sport as her job. 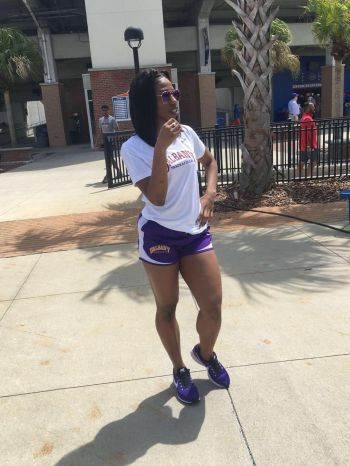 “I always tell people that track and field is my job due to the fact that I am on a scholarship and I have to perform to keep that scholarship or else I will lose it,” she shared. As part of her duty as an athlete, our 'Young Professional' often travels to different States, to compete, while balancing all of these obligations with her studies. While travelling takes up much of her time, the young athlete does not complain, as she views it as one of the perks of her profession. An example of this for her is when graduating from Elmore Stoutt High School. According to our ‘Young Professional,’ this daunted her spirits. “I never had a plan B because plan A was assured for me…I ended up taking a year off until I figured out what my next move was,” she disclosed. 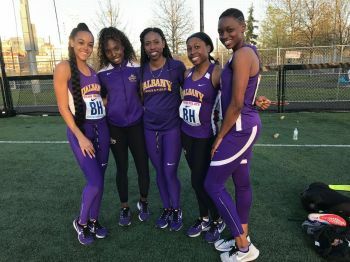 Our Young Professional revealed that Track and Field was not always her chosen field, but that it was through her mother’s aggressive encouragement that she stepped onto the track. 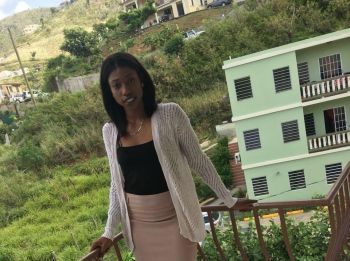 “My parents are Jamaicans and usually track and field is the sport that they majorly take part in…My mother forced me to be a part of this sport until I actually grew to love it and the opportunities it brings,” our Young Professional divulged. Despite her love for her ‘Profession,’ Lacey intends to pursue a career in Architecture, as she has always had an inclination towards the field. The ‘Young Professional’ remains focused and motivated because she craves success. “There are alot of young ladies that never got to achieve what they want in life, so every time that I want to give up or want to do something mischievous that would hinder my goals in life, I remind myself that I do not want to be one of those girls,” she said. Our athletic, ‘Young Professional’ attended the Althea Scatliffe Primary School, where she graduated in 2007 and later, the Elmore Stoutt High School. She continued her formal education at the Holmwood Technical High School in Jamaica, completing her sixth form education. “I’m usually called a clown because I like to make people laugh. I’m also strong-willed and when I put my mind to something nobody can change it because I’m very stubborn like my dad,” she said in response to our question about the most interesting thing about herself. Her character is not the only feature she inherited from her parents, her motivation is another; Lacey spoke of how her parents became her driving force of motivation and inspiration. Lacey preaches the need for young people to remain focused and dedicated. Lacey works hard, not just in school and on the track but also to help those that she cares about. While she did not experience Hurricane Irma, she made an effort to take care of those that did. “In terms of helping my family recover; with the assistance of my school, I helped to raise funds to send to them, so they could have gotten the necessities that they needed,” Lacey related. Speaking to the Sports in the Virgin Islands, Lacey used the opportunity to call on the Government to do more for young athletes. According to our ‘Young Professional “…there are a lot of us athletes, including myself who were blessed to get both a separate scholarship from the government and from the University that we are going to attend but were not able to use the government’s because of the NCAA rules. So I would love to see a law or rule in place which would allow us to use the government scholarship money that we worked so hard to obtain” she affirmed. and keep pushing forward towards your dreams young lady. Always continue to do your very best. Be safe.